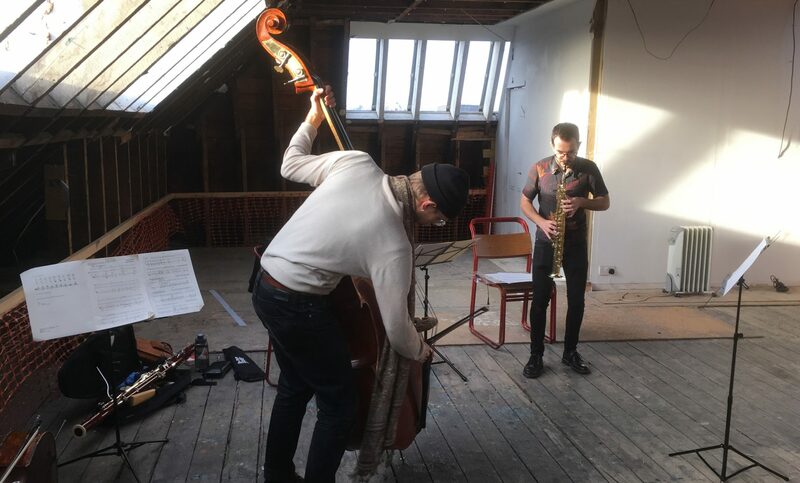 Glasgow Experimental Music Series started in December 2014, dedicated to performing and sharing the creative work of composers from Glasgow and the rest of the UK alongside classics of experimental music since Cage – including Christian Wolff, Alvin Lucier, Antoine Beuger, and many others. The Series has benefitted greatly from the enthusiasm of young performers in Glasgow, all of whom are establishing themselves as professional musicians and many with adventurous cross-disciplinary interests. Glasgow Experimental Music Series is programmed by Gregor Forbes. The Series would like to thank Hinrichsen Foundation and Enterprise Music Scotland for their generous support in helping to fund the 2018-19 Season. Many thanks also to our regular venues The Pipe Factory, The Project Cafe, and The Old Hairdresser’s. See the People page to find out more about regular composers and performers in the Glasgow Experimental Music Series, and see the Concerts page to read about our past and future concerts, including footage and documentation. Glasgow Experimental Music Series receives generous funding from Hinrichsen Foundation and Enterprise Music Scotland.